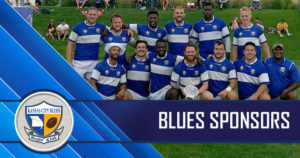 The Blues D1 side kicked off the Spring 2019 campaign with a resounding win over the recently-crowned D3 National Champions, Wichita. The Barbarians drew first blood scoring an early try that was quickly answered by the Blues. Stephen Lomas showed of his excellent footwork, juking a Wichita defender with such severity that the move alone floored the unsuspecting victim, allowing Lomas a free pass to the tryzone. Isaiah “Ziggy” Jones added to the Blues’ effort, snuffing out a Wichita pass in the midfield and carrying it in for another Blues try. Wichita finished the half with a try of their own bringing the total to 31-20. The second half saw the Blues rolling. The boys played well within their offensive structure; spreading the ball wide and exposing gaps in the middle of the field, leading to several breakaway runs. The 9-10 connection of Erik Hartley and Jordan Rice kept the boys organized on attack and kept the Wichita defense on the back foot. At full time the score was 64-39. 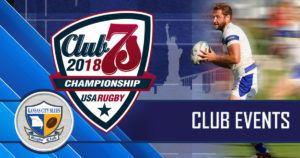 The Blues D1 side will use the experience from this match as a litmus test as to where they stand in need of improvement as the season progresses into league play. 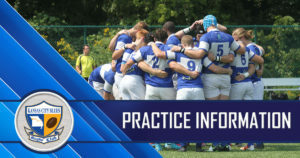 The Blues D2 side looked to capitalize on their momentum from the previous week and they certainly didn’t disappoint. In what was widely acknowledged as the side’s best overall performance in a long time, the boys kept up a fast paced attack and were stout on defense. In only his second ever rugby match, Austin Hamm was an absolute force with ball in hand. He scored two tries and had a beauty of an offload from the deck to a streaking Riann Bam, resulting in a try. 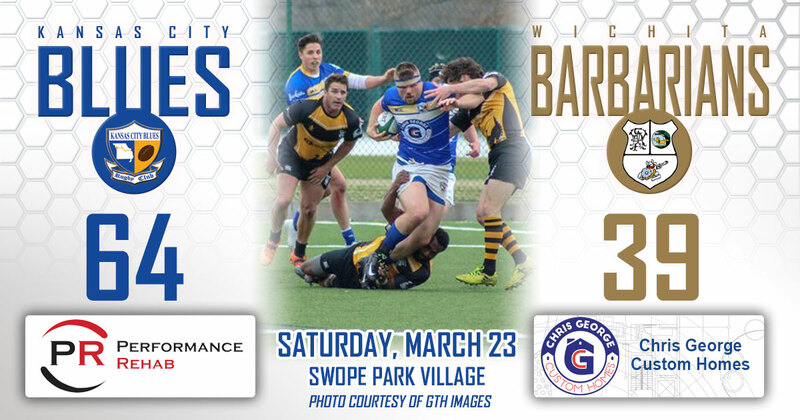 Ahmed Barro, a promising product of Pitt State, also notched in two tries in the corner. Sean Lenihan kept the boys organized on attack at the Fly Half position; moving the ball well among the backs and forwards and setting the line on defense. The boys finished the affair strong, winning the contest 42-24 and putting a second match in the win column in as many tries. 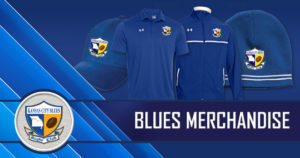 The Blues D1 side will be back in action this weekend (3/30/19) against the St. Louis Bombers kicking off at 1:00 p.m. on Saturday at Shawnee Mission North High School and the Blues D2 side will be taking on the St. Louis Royals immediately following. See you there! The Kansas City Blues would like to thank our friend Griff Hatings, GTH Images for taking some amazing photos of the match. Click here to see the photos.